Home › FAQ › What is Early Admission to College? Graduating high school seniors who are supremely confident in their post-secondary choice may want to consider early admission to college. Early admission is an accelerated process in which incoming college students submit their applications well before the usual deadline, often in November. Students who apply for early admission will usually receive their acceptance or rejection letter prior to New Year’s. 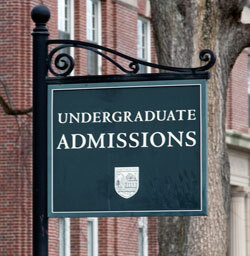 There are currently around 450 colleges in the United States offering one of the two different early admission types. First, there are early decision plans, which are binding to accepted students. On the other hand, early action programs are non-binding and don’t require students to immediately enroll, according to the College Board. Let’s take a closer look at the early admission process to determine whether it’s right for you or your child. For students with a definite first-choice school, early admission can provide several unique advantages over regular admissions. Applying early usually gives students a slightly higher possibility of being accepted into their dream college. Early admission saves money because there will only be one application and fee. If you’re accepted early admission, you’ll have more time to prepare for college, get involved in the campus, and choose your housing. Applying early also reduces the stress of the application process so that you can enjoy your senior year without worrying about next fall. Plus, students who already stand out with top-notch grades, high test scores, and extra-curriculars can apply early ahead of regular applicant pools. Of course, there are some potential drawbacks that students applying early will need to weigh before choosing this route. Early admission places pressure on high schoolers to seriously commit to one college before exploring all other schools fully. Students applying early will receive their financial aid award with their acceptance letter, which can be risky for financially needy students needing to compare tuition prices. Students rejected for early admission won’t find out until December, so there’ll be a time crunch to prepare other applications within two weeks. Early admission students may have the feeling that they can slack off with senioritis through the spring semester too. It can be difficult to maintain motivation, even though colleges can rescind their early admission offers. Who Should Choose Early Admission? Keep in mind that early decision and early action isn’t for everyone. Applying early is usually best for students who have already researched colleges extensively and are certain in their first-choice pick. Students should only go through the early admission process at a college that perfectly suits their academic, social, geographical, and career needs, according to US News and World Report. Early admission students should also exceed the average profile with high GPAs, SAT scores, and class ranks. It’s generally a route taken by high school seniors who’ve consistently performed well and are now enrolled in AP college courses. Early admission isn’t suitable for students simply wishing to take an easier avenue to avoid stress and paperwork. Full commitment is essential. Overall, early admission is basically the fast track to a college application process for students who have a clear preference for one school over all others. Early action and decision plans can vary greatly from college to college, so be sure to discuss the exact policies with your admissions counselor. Make certain you weigh all of the pros and cons of early admission to college ahead of time before locking in your future.